Billy Hughes and family conquer Snowdon again! Family and friends of Litherland mum Jan Hughes have once again taken on the challenge of Mount Snowdon in her memory. Janice, who passed away in August 2016 at the age of 52 after a battle with cancer, had spent her final days at Woodlands Hospice. 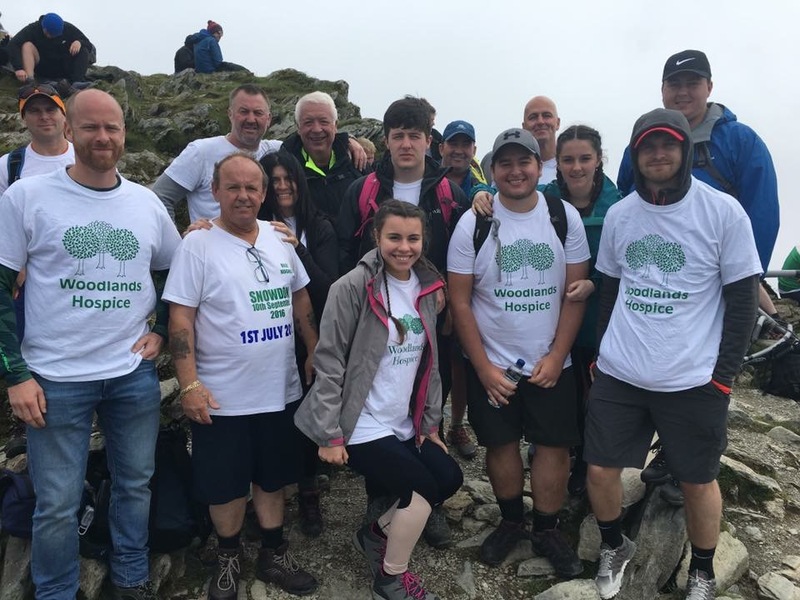 Following her loss a group of family and friends reached the summit of Snowdon to raise funds for the Hospice. More family and friends recently undertook the challenge a second time raising a further £1,070, bringing their total to a staggering £5,369! Carole Riley, Individual Giving Manager at Woodlands Hospice, met with members of the family recently when they visited the Hospice with the money from the challenge. She said: “the family should be rightly proud of their achievements, not just for taking on the challenge again but through raising such an amazing amount of money. "Donations in memory of loved ones are very special gifts, and as such, are deeply appreciated by everyone at Woodlands Hospice. This gift will help to strengthen Woodlands ensuring that the values and the quality of care we stand for carry on into the future – for those in the local community who may need us. "It is only through such support that we have been able to provide specialist hospice care to local people since opening the day hospice in January 1996. All care is provided free of charge and this extends to the family of patients so we do depend upon the generosity of those in the local community." If have a fundraising story you would like to share, or a challenge you are thinking of doing to raise funds for Woodlands, please contact Carole on 0151 529 4143 or via email.